Home / Manic Mondays! • Pretty In Pinky / Manic Monday! Pinky Joins A Search Party After Meeting The Cast Of The TBS Series! Alia Shawkat! Brandon Micheal Hall! John Early! Meredith Hagner! and More! Manic Monday! Pinky Joins A Search Party After Meeting The Cast Of The TBS Series! Alia Shawkat! 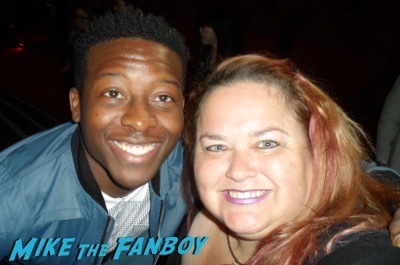 Brandon Micheal Hall! 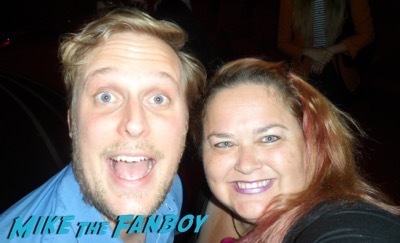 John Early! Meredith Hagner! and More! Hello, my lovelies. Pinky Lovejoy-Coogan here excited to tell you all about a new show I learned about this week. 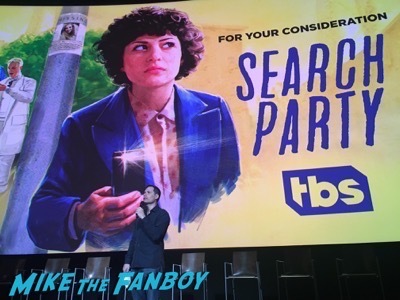 Now, I’ll admit that when I saw an FYC event was being held for Search Party I had no idea what that was. 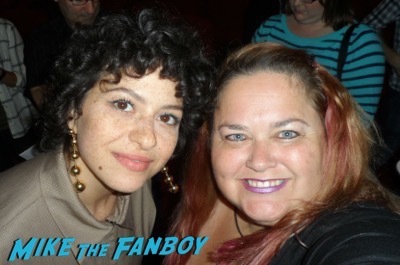 In fact, when I looked at the cast list, the only person I really recognized was Alia Shawkat (who played Maeby on Arrested Development) and I’ve met her several times over the years (always a sweetheart). 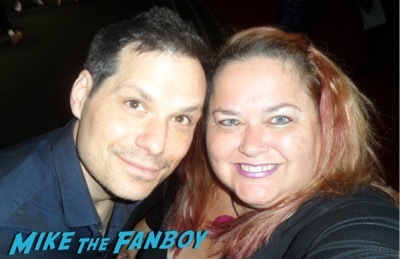 Still, I was drawn to the event for two reasons: 1) It was being moderated by Michael Ian Black who I loved from Ed and 2) I love being surprised by new things. This was perfect! As soon as it started, I was hooked. The humor, delivery, and friendships were spot on and I loved feeling like I was watching a mix between Nancy Drew, Scooby Doo, and Girls. They screened episode three, but I can’t wait to binge the rest. 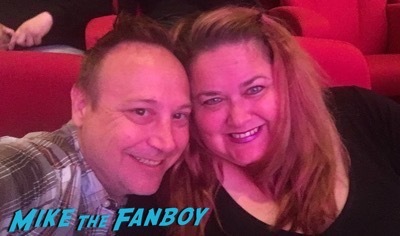 What a fun show! 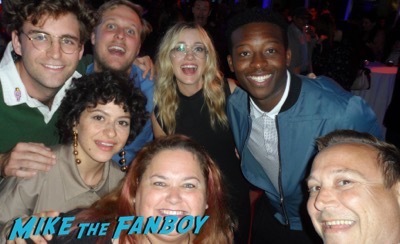 The cast (comprised of Alia Shawkat, Brandon Micheal Hall, John Early, Meredith Hagner, and John Reynolds) obviously loves each other and I really enjoyed seeing them in the theater to watch the show with us (which almost never happens at these things). 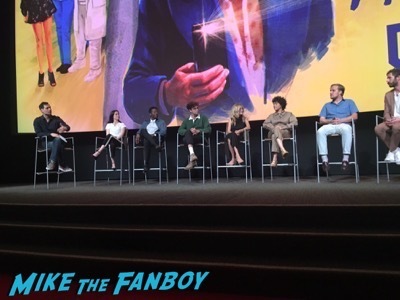 The Q&A panel afterwards was a lot of fun – Michael made sure to ask interesting questions and brought a lot of humor to it. And after the panel, the cast was awesome about taking pictures and talking to everyone. In fact, we somehow managed to get a group shot with all of them! I’ve never had that happen before and I’m STOKED! Such a great night and I’m so happy we went. Manic Monday! 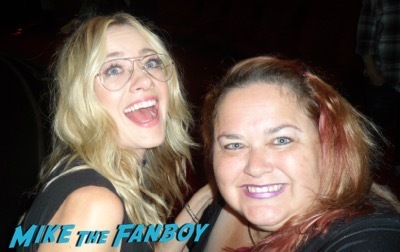 Pinky Joins The 4077 After Meeting MASH Stars Lorette Swit! Mike Farrell! And The Cast! 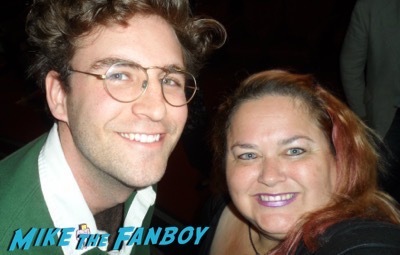 Pretty In Pinky: Drooling Over… I Mean, Meeting The Men Of Magic Mike! 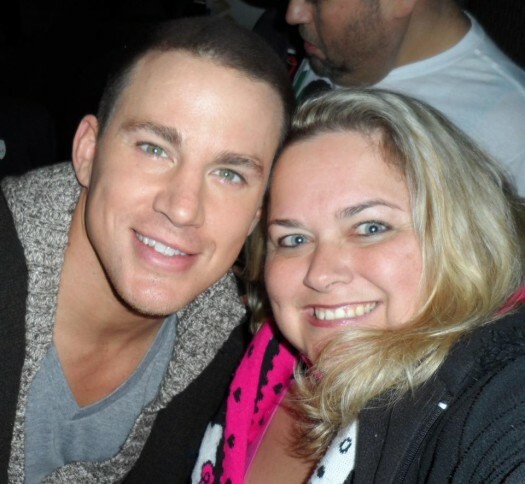 Channing Tatum! Matt Bomer! Matthew McConaughey! Joe Manganiello! Manic Mondays! Pinky Finally Meets The ENTIRE Cast Of 90210! And The Last Person Was On Her Flight Home! Say Wha? Manic Monday! Sha-La-La-La! 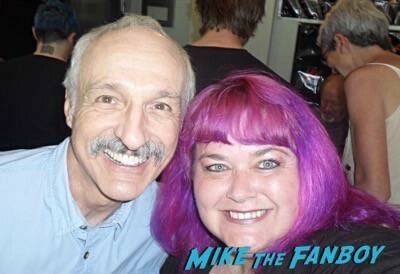 Pinky Gets Her Family Ties After Meeting Michael Gross! Autographs! And Monsters!